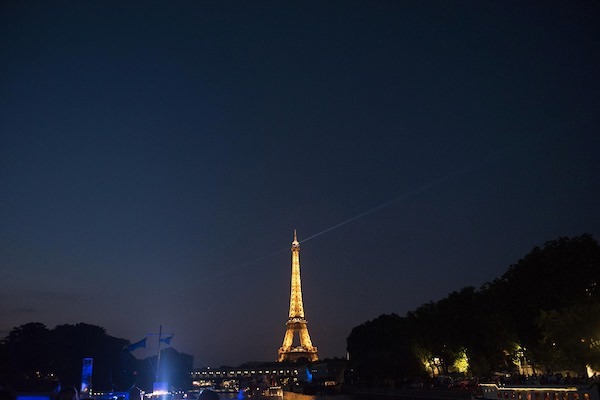 Paris, what an amazing city! 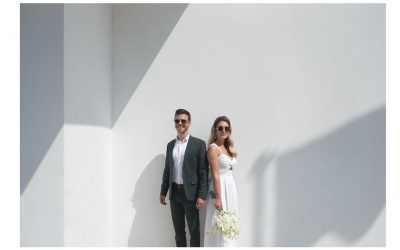 Every visit we make, we fall in love with it again, and especially this time when we had the chance to photograph a very unique and special wedding! 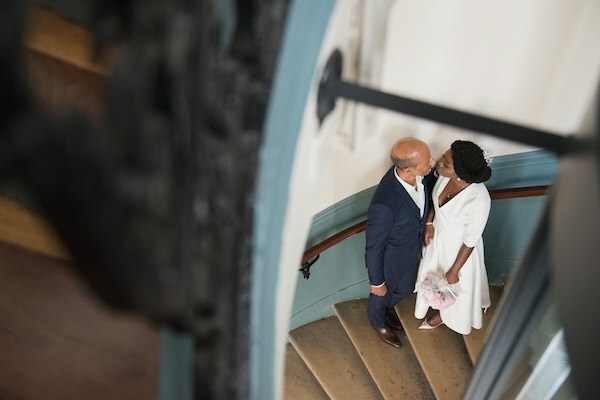 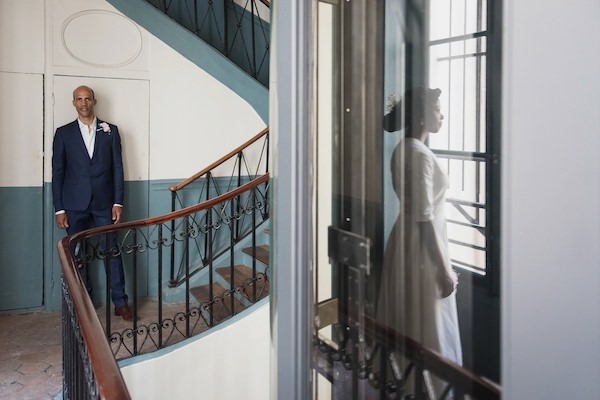 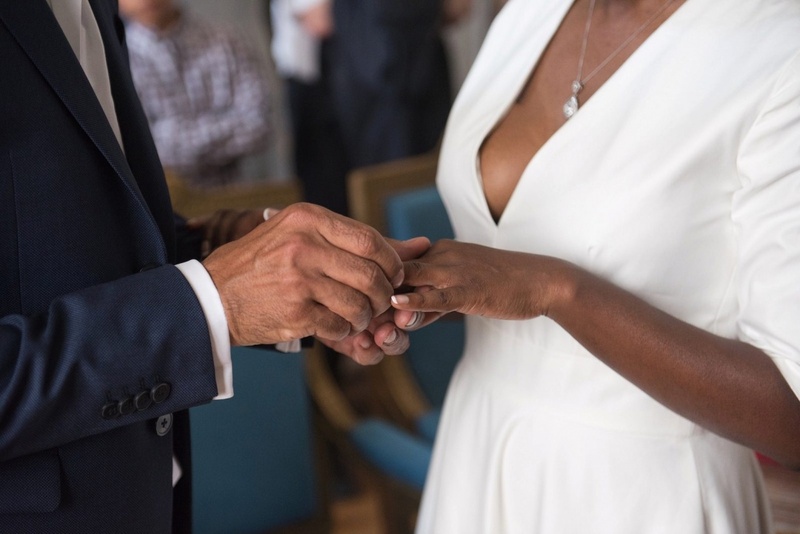 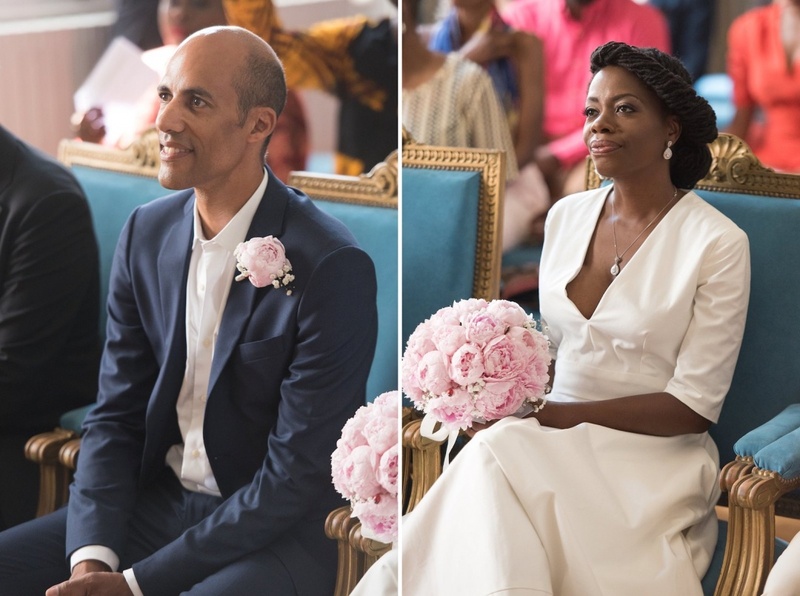 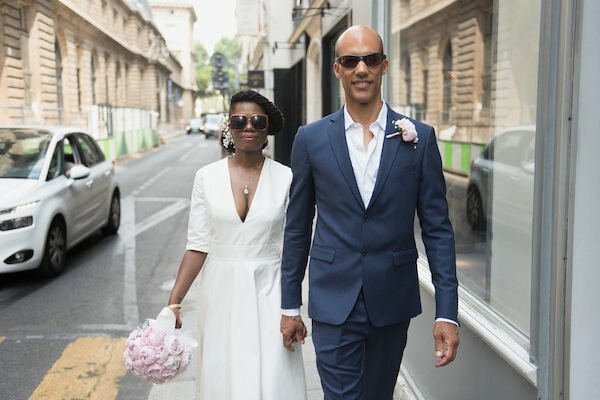 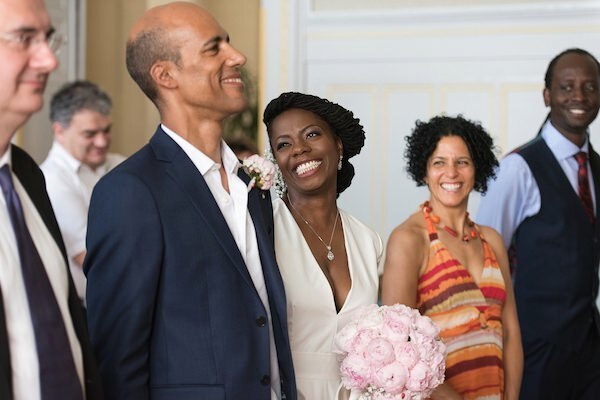 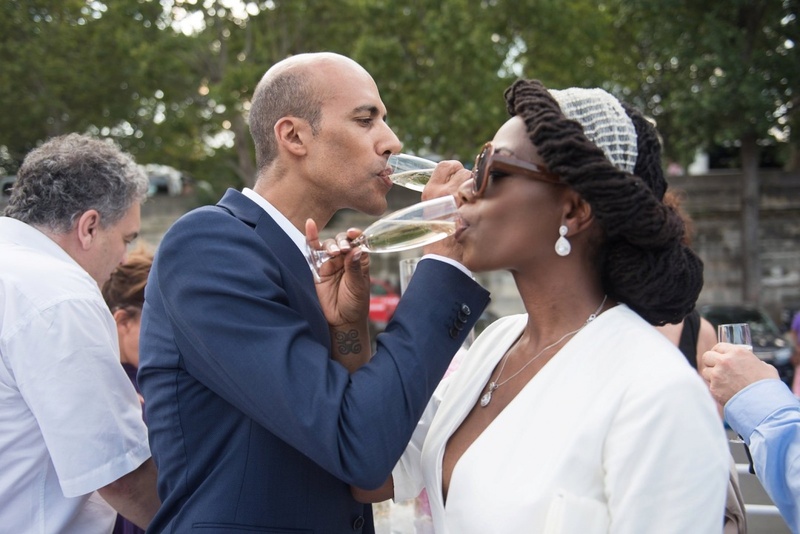 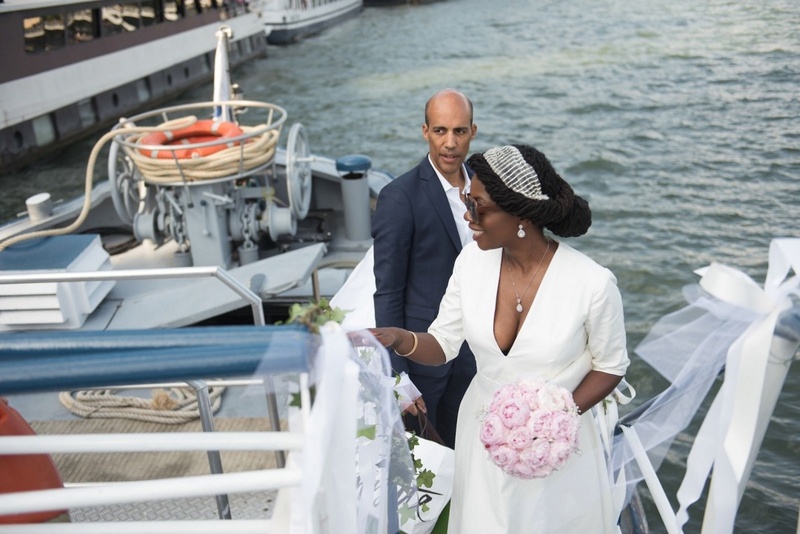 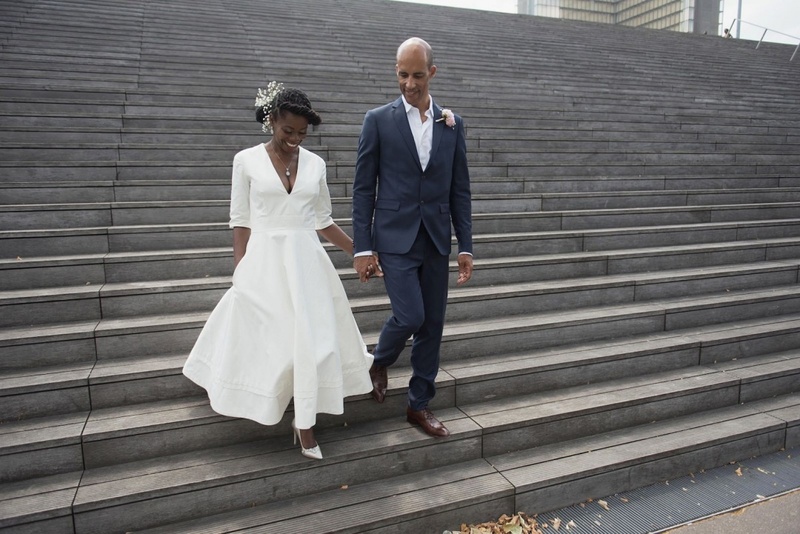 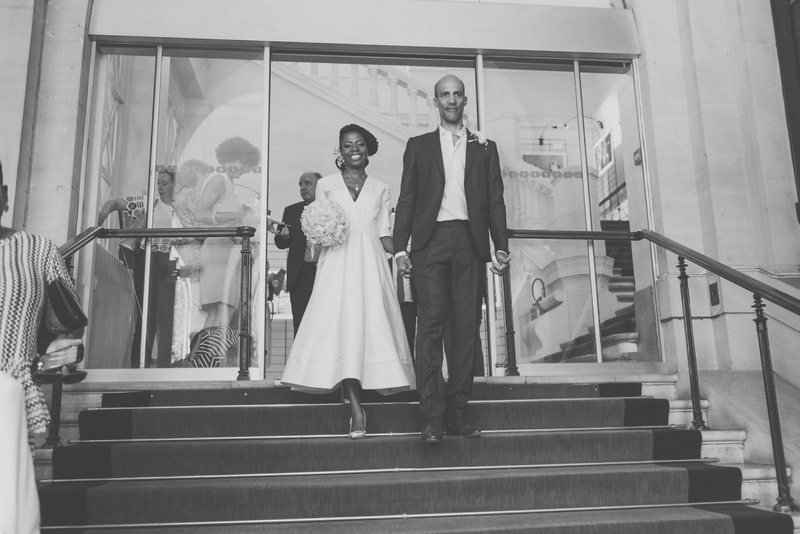 Adeola and Olivier, a charming French-African-Caribbean couple, decided to celebrate their wedding day in an intimate and special way – a cruise on a boat. 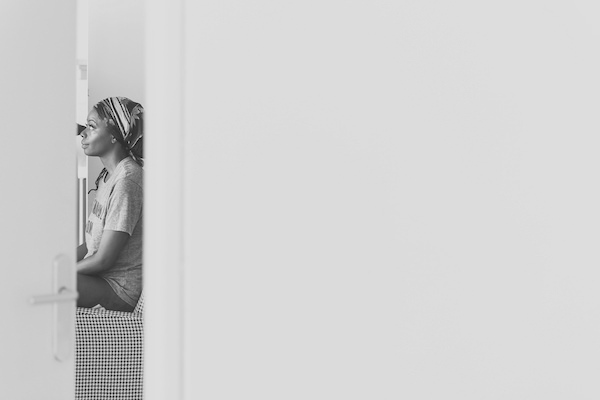 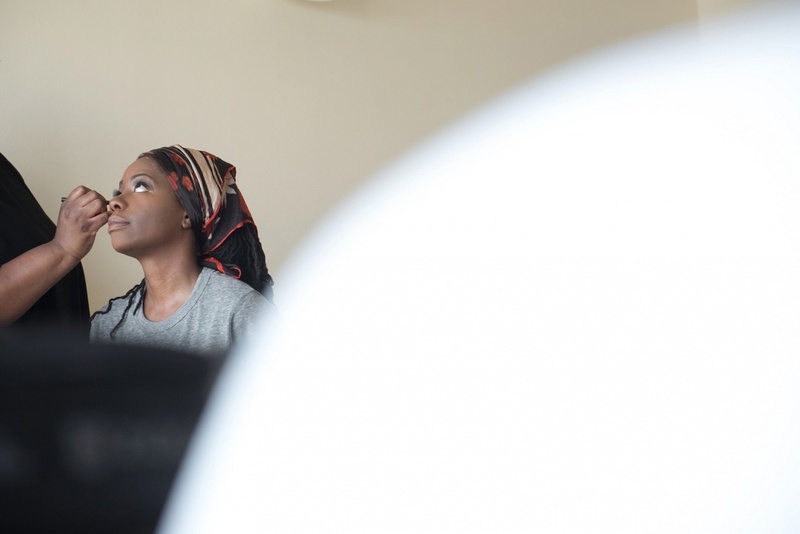 We met Adeola in a charming Airbnb apartment in the 6th district, accompanied by her sister and a good friend. 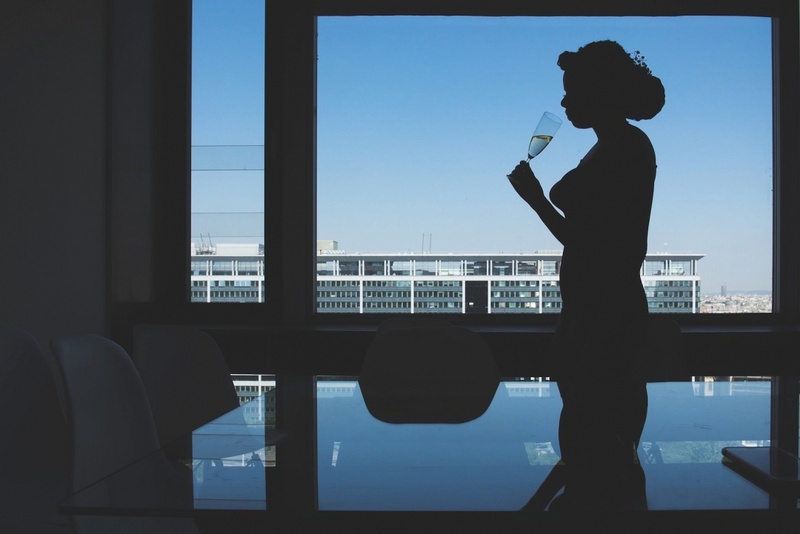 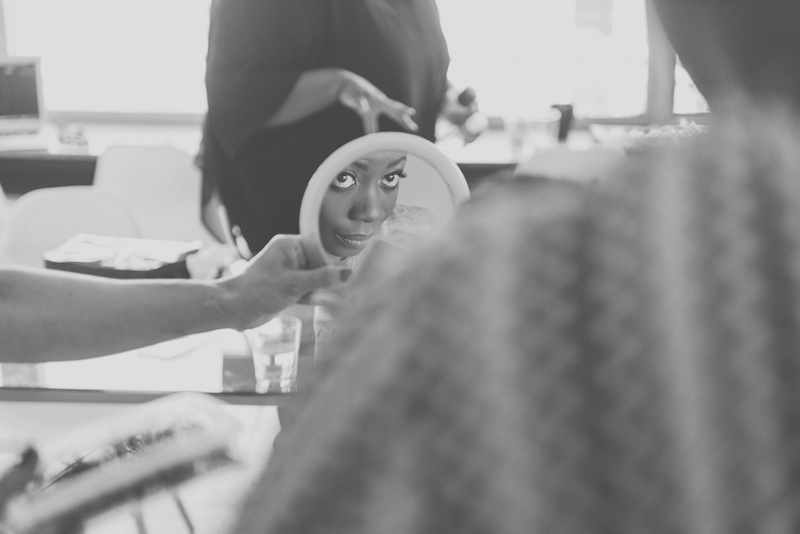 The atmosphere in the preparations was light and yet very intimate. 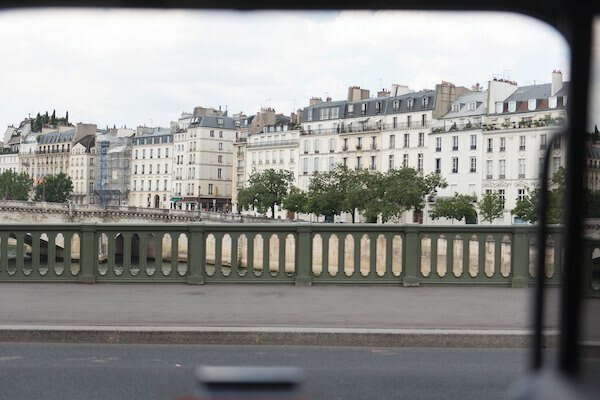 The apartment was well lit and had a Parisian vibe to it. 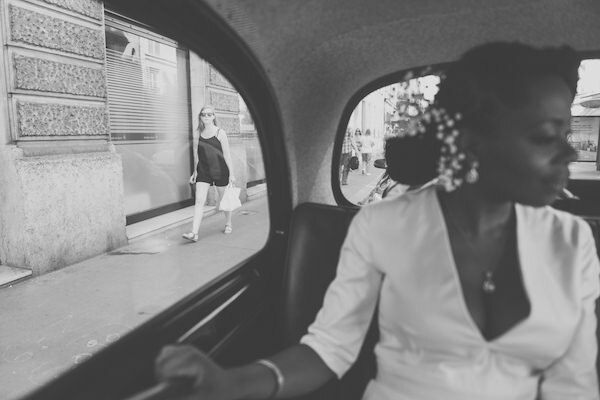 After the preparations, an amazing collector’s vehicle waited for us on the street -an old London black taxi. 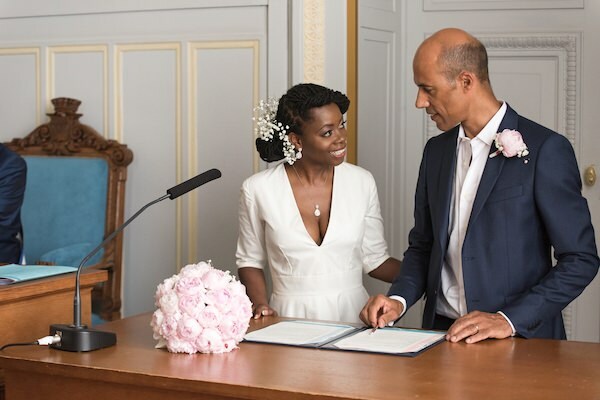 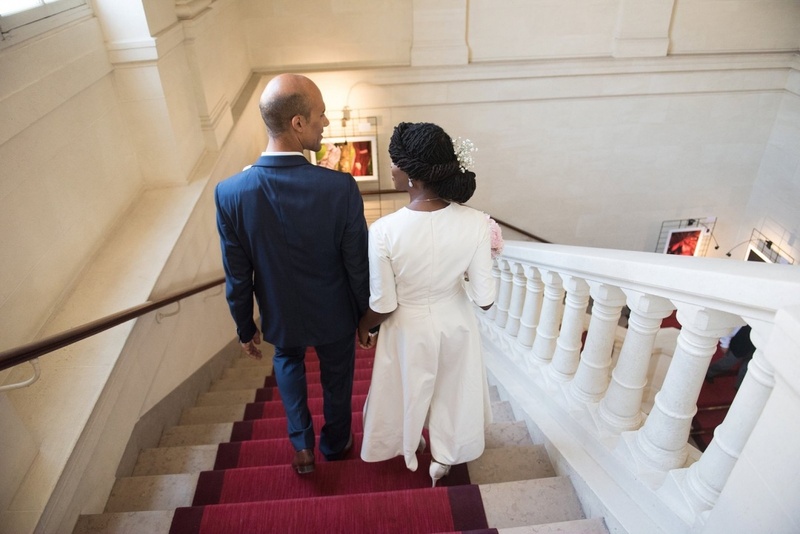 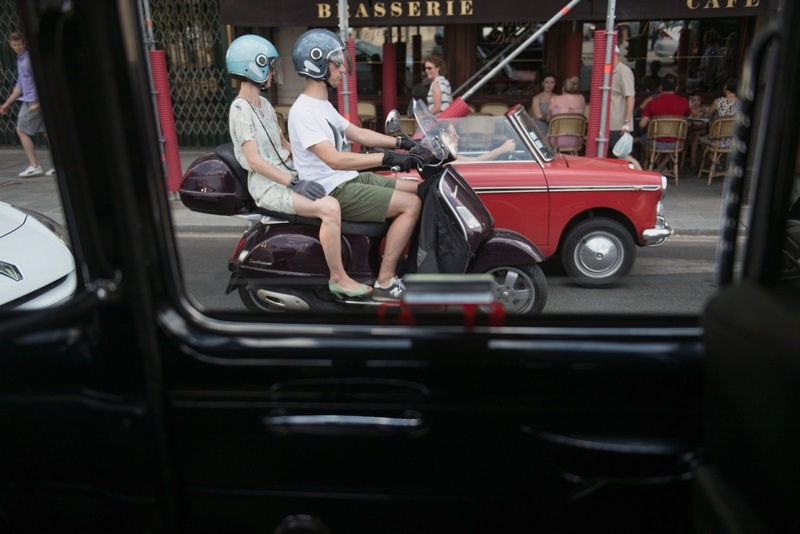 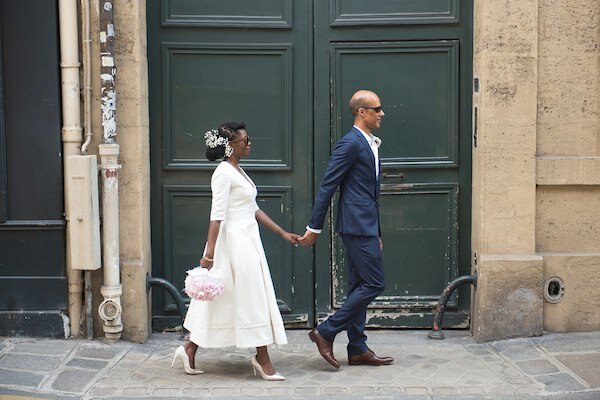 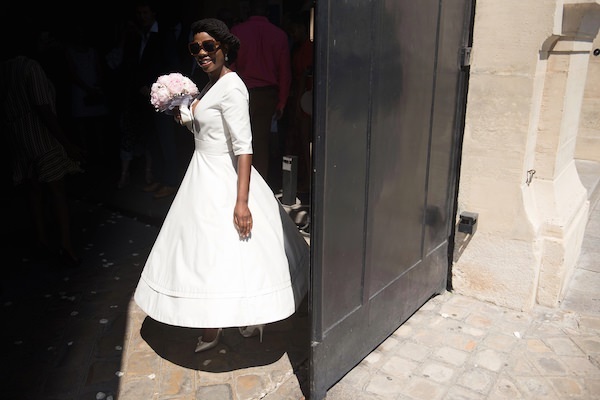 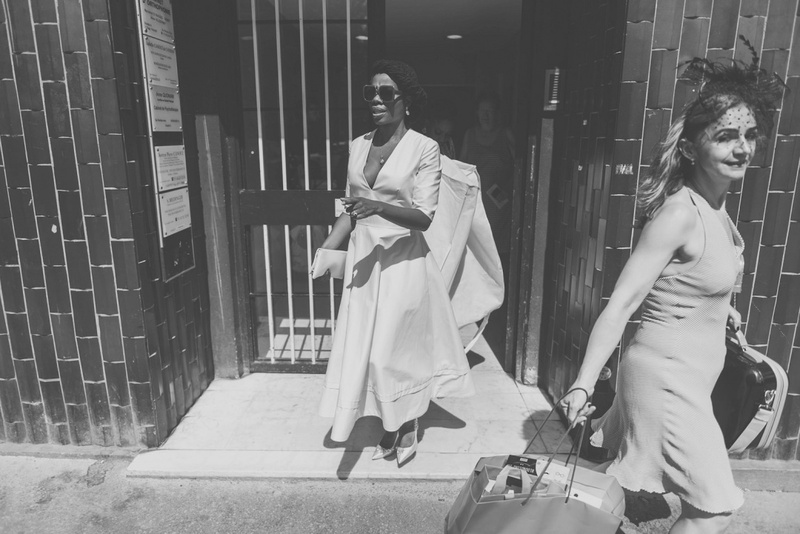 we took the ride with Adeola to the town hall of Paris’ 6th arrondissement, where the official ceremony of the marriage took place. 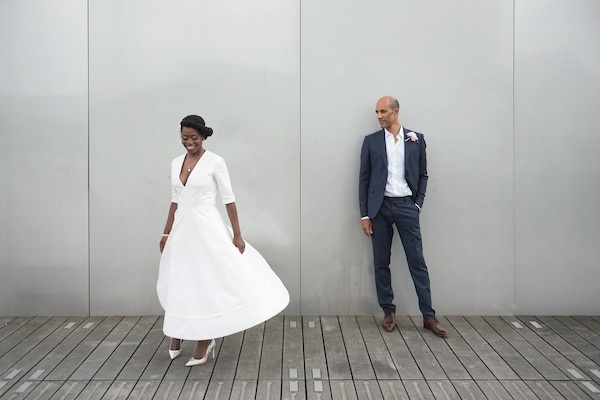 Adeola and Olivier kept with tradition and did not see each other the night before the wedding. 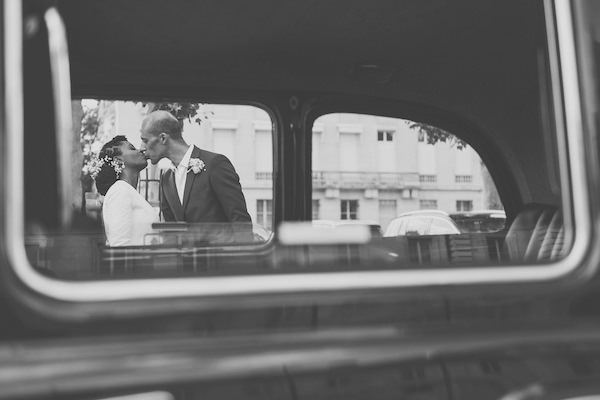 The meeting between them in the ceremony on the day of the wedding was exploding with emotions and love. 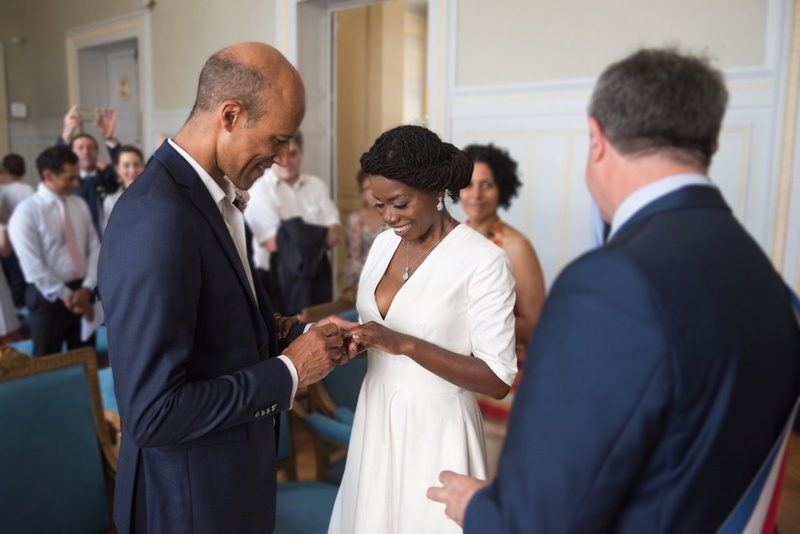 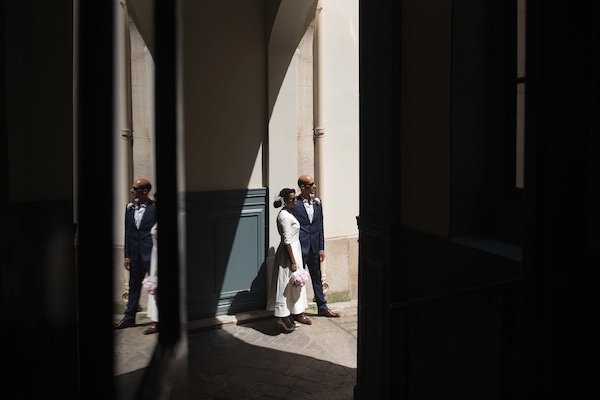 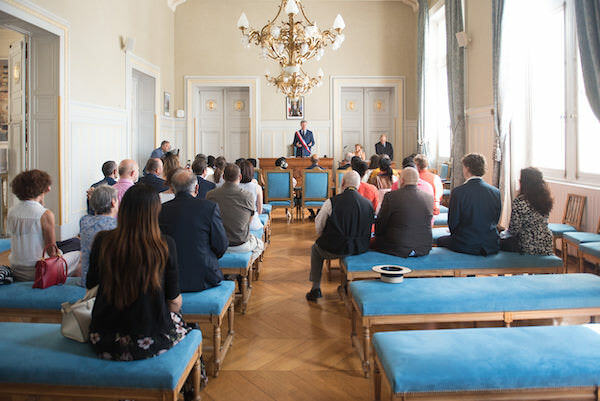 The ceremony was very intimate – only 40 family members and close friends arrived from Paris, London and the United States. 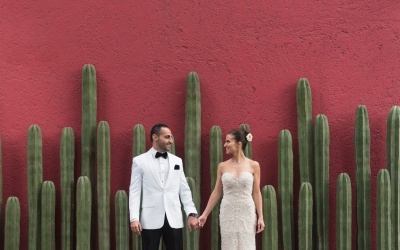 After the ceremony, we started the couple shoot. 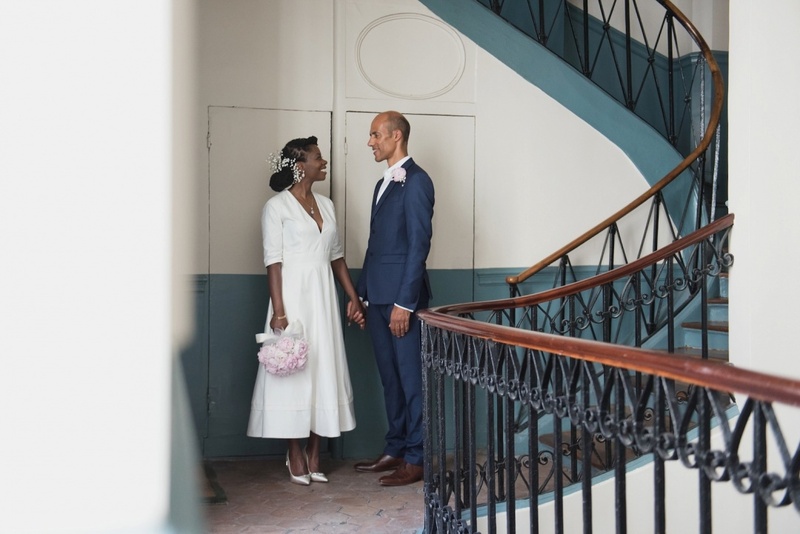 We chose to photograph them in the building where Olivier lived, a historic building from 1650. 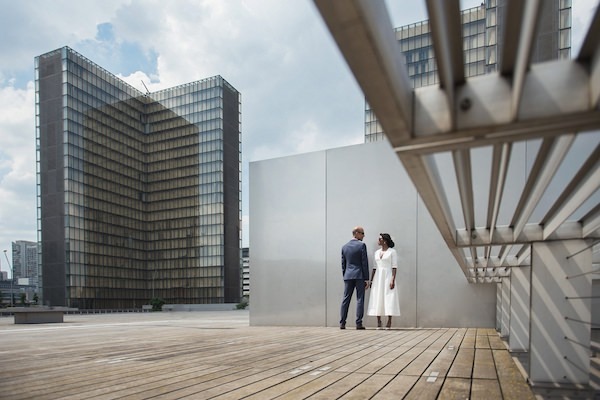 As soon as we started shooting, we realized that we would probably need more time than what we had originally planned, since the building was so incredible. 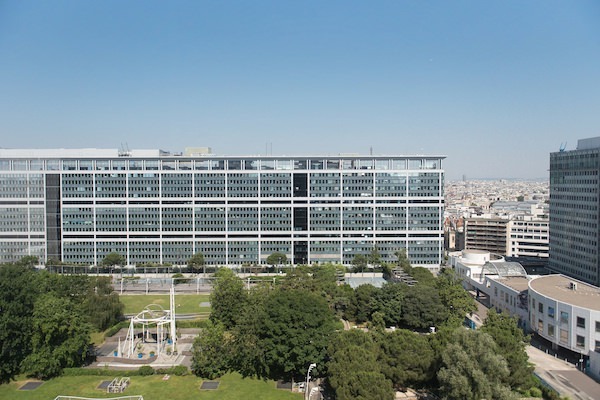 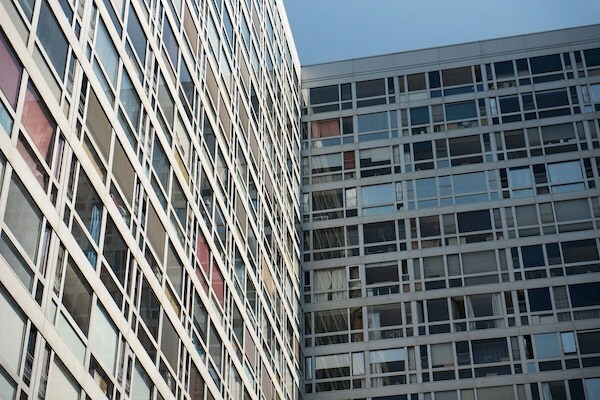 We then continued to shoot at the Bibliothèque François Mitterrand (Paris National Library), an impressive and very minimalistic building. These two locations gave us a Parisian classical atmosphere and yet, a very modern Paris as well. 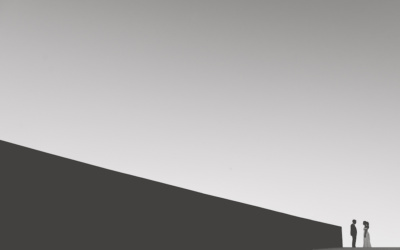 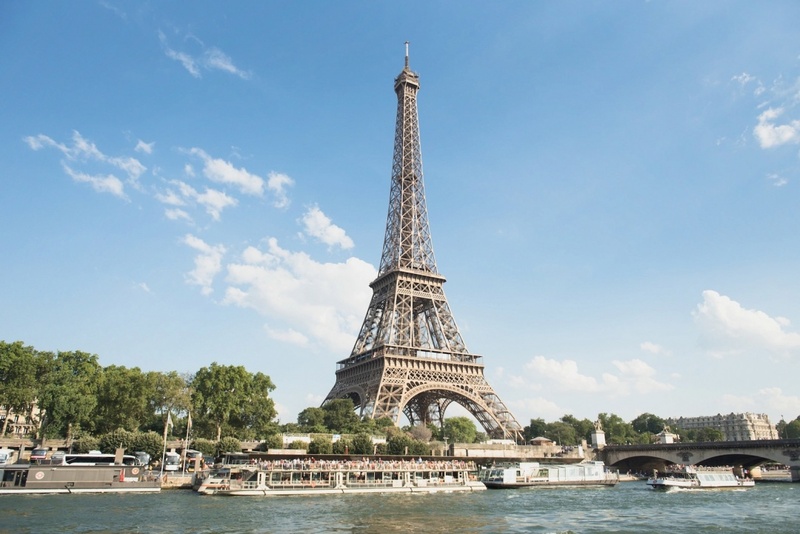 From there we moved on to another iconic Parisian location – the Eiffel Tower. 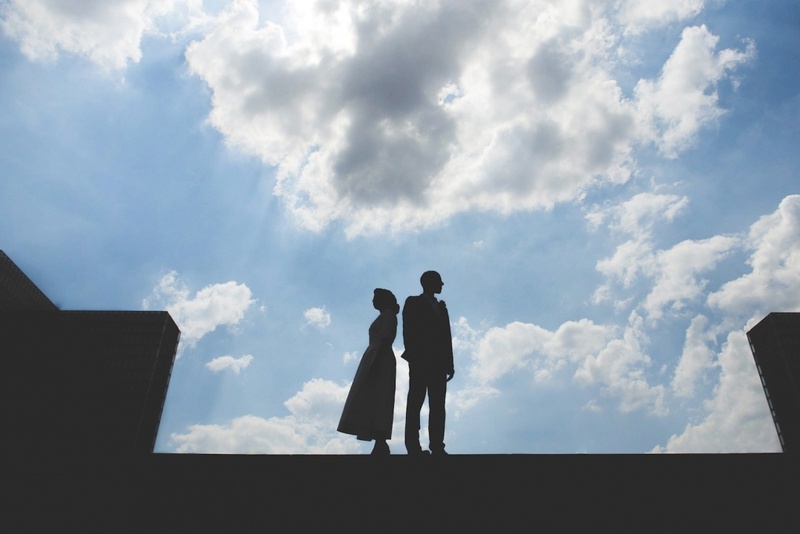 We had a perfect shooting session in the garden area overlooking the tower. 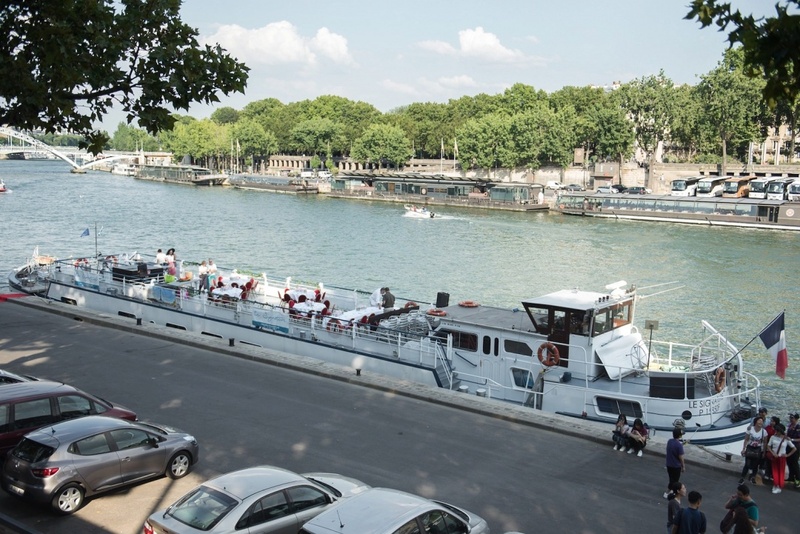 The couple then went to freshen up in their hotel near the Eiffel Tower and then arrived at the venue – a boat. The reception was held by Adeola and Olivier on a boat anchored in Port Debilly. 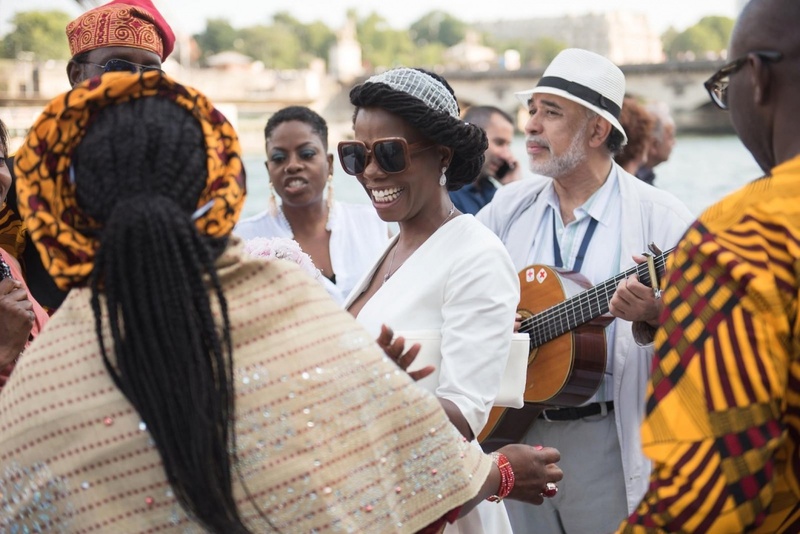 All the guests went on board and the music started, food was served. 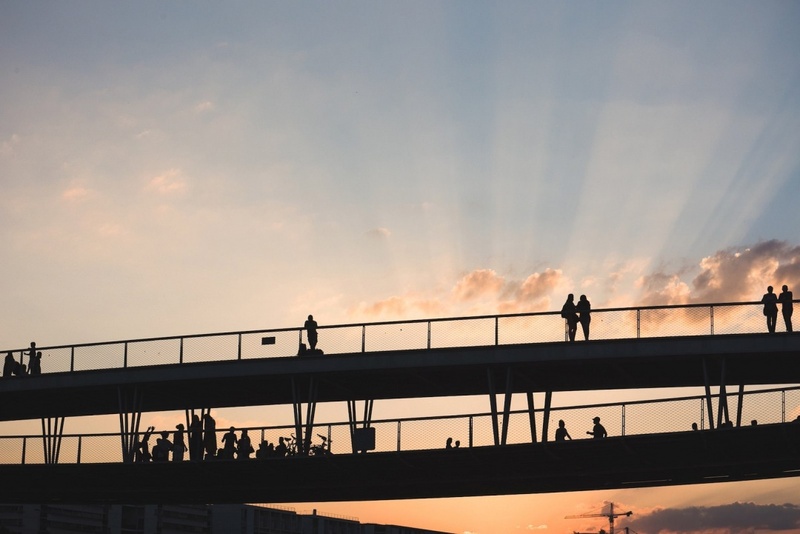 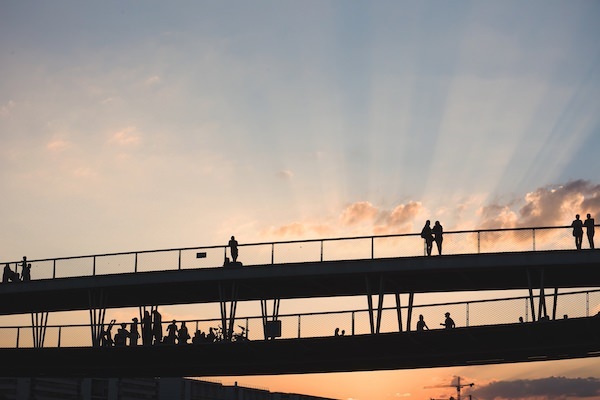 An amazing Paris atmosphere accompanied the meal, while the boat sailed on the Seine to a perfect sunset.